Cron (a variation on Chronology) is a scheduling automation system that is included with all Unix flavours and Linux distributions. On most systems, its data is stored in text files in the /var/cron/tabs/ directory, called "crontab" files (or "crontabs"), each of which are typically named after the account that the jobs shall be logged in as during execution (for security reasons). 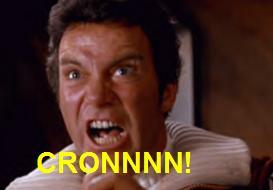 Modifications to the crontabs are detected automatically by the Cron daemon, which greatly simplifies administration. Many systems include a few cron jobs by default that report system status and various security settings via eMail to the system administrator on a daily, weekly, or monthly basis. Thanks to Rev. Beergoggles for the humourous "CRONNNN!" image on this web page.